I am using a lot of essential oils in my beauty routine these days and after finding out in detail about sweet almond oil health and beauty benefits I decided to give it a try. I actually started off with roghan badam shirin for beauty needs and wanted to try something for hair too so ended up buying Dabur almond hair oil. Dabur badam hair oil comes packaged in a transperent glass bottle with a golden flip cap. I dont like the packaging one bit as it has many flaws. A glass bottle is bulky and hair oil can cause it to get slippery resulting in breakage. The flip cap also doesnt shut tight making it a big NO for travelling. I have dry frizzy hair and brought this almond hair oil from amazon.in but on arrival I was shocked to find this oil has 74% of mineral oil which isnt considered good for hair. The percentage of actual almond oil in dabur almond oil is 23% which is again mixed with vegetable oil. Most hair serums have mineral oil so I decided to give this oil a try and see how it fares. 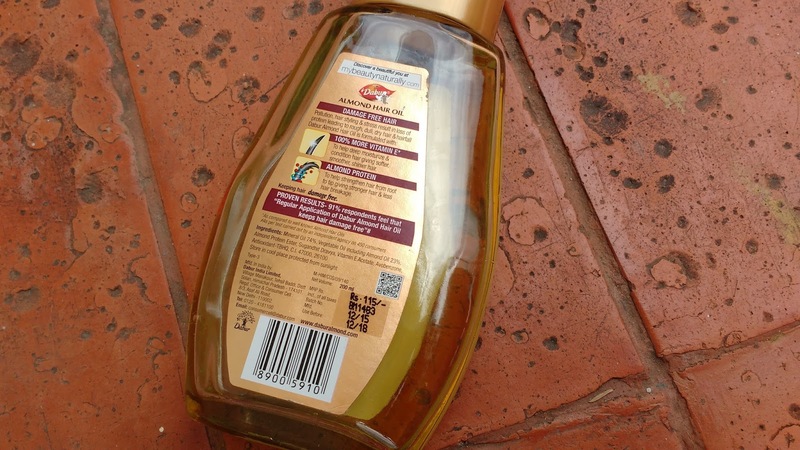 The consistency of Dabur almond hair oil is runny and it is very light weight which results in easy application. The oil smells of almond and is not very mild but not too strong either. Sensitive noses may have a bit of problem with this oil especially because the smell tends to linger on for quiet sometime. 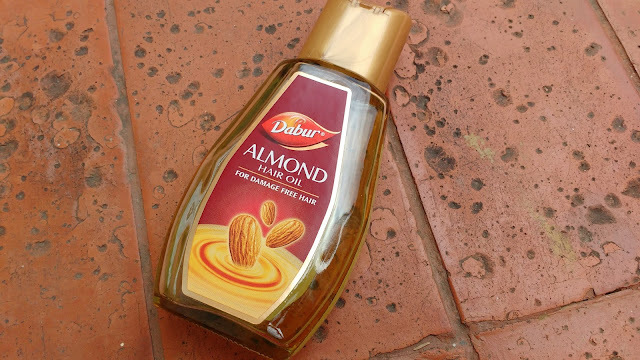 I apply dabur almond oil 2 to three hours before bath because I do not like using conditioners after shampooing as they weight my hair down. I like how this oil isnt greasy and spreads easily on hair. I mainly apply this oil to my hair strands concentrating on the ends. This hair oil gets washed easily and I dont require to over shampoo my hair to get ride of residue. After shower my hair are shinier and frizz free but the effects dont last long. There is also a nourished smooth feeling on my hair which I think is pretty good results for the price being paid. If you dont mind mineral oil in your hair oil then you should definitely give dabur oil a try but I do wish Dabur increaed the percentage of almond oil in this hair oil. If you really want to give a mineral oil based hair oil a try then you can try Emami hair oil which I feel has better scent but this oil by Dabur has almond oil which is known to have many benefits for hair. 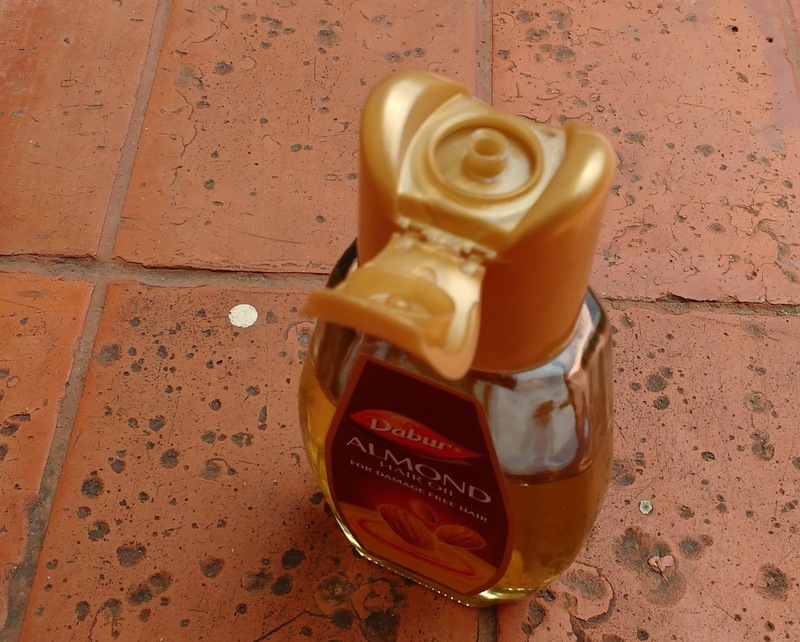 Dabur almond oil is a nice affordable hair oil which adds shine to hair and makes it more mangable but it definitely cant repair damaged hair. If you want a light weight oil then give this a try. Otherwise skip.